I was interviewed for the book "So, You Want to be a Chef" about my blog. You can order it online at Amazon.com or Barnes & Noble. I went to a place called the Shoo-Fly Diner. I went because it was not only new, but it was their first night open. The owner of the restaurant also owns Woodberry Kitchen, which I went to once before I had my blog. When I first came in, it was moderately crowded. Also, I noticed it was supposed to resemble a diner and an old fashioned restaurant. Since it was going to be a while, the person at the front desk said there was a kids room on the lower floor, so we decided to check it out. The kids floor was on the the lowest floor, and boy was it fun! There were puzzles, dominoes, rocking horses, and even a pinball machine. I had so much fun, I was at my table before I knew it! 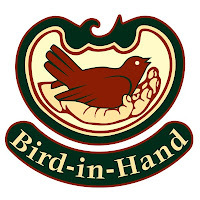 On the menu, you could get breakfast anytime, like the Toad in a Hole, which is popular in Britain, and is made with spelt toast with an egg in the middle served with GKF salad or Hillbilly Surfboard, which is a waffle with Asian pear and apple-butter butter. You could also get sandwiches like the Chesapeake Crab Roll Sandwich or Grilled Cheddar & Pickle. They also have Meat Loaf and a Fried Chicken Supper. There was also a kids menu with items like Pork, Grilled Cheese, and Mac 'n Cheese. 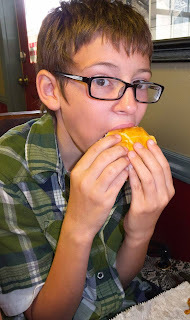 I had a Griddled PB&J, my brother had Buttered Noodles, my sister had Mac 'n Cheese, my mother had Egg Salad on Toast, and my father had a Scrappledelphia sandwich, which is apples, griddled onions, scrapple, melted cheddar, and mustard on toast. We also shared an appetizer of Disco Fries, which are fries with cheese curd, pepper gravy and a fried egg. While we waited, I read the menu. I saw that they had a homemade hot sauce called snake oil, but the special thing about it was that all the ingredients they used to make it was grown in Maryland. Also, the restaurant was originally a shoe store, called Hess, which was built in 1948, and had a slide as one of the railings for little kids. Unfortunately, the floor is low enough that now the slide can't be used, though it's still there. The Disco Fries and kids meals came out together. I liked how the fries had the cheese on them and the pepper gravy gave them a nice taste. I didn't like the fried egg though because I don't like eggs. My PB&J was delicious! The peanut butter was creamy and smooth, and you could really taste the jelly. There was also salad with my meal. Even though I usually don't like salad, my dad told me to give it a try, since it had homemade ranch dressing on it (which I usually don't like either), but the salad was great! The tomatoes and lettuce were juicy, the carrots were crunchy, and the ranch was not sour like I thought it might be and made it taste better. I also tried some of Olivia's Mac 'n Cheese. It was cheesy and the cheese was smooth and creamy. It took a while for my parents food to come out, but that was only because they were really busy at that time. My parents ordered our dessert while they ate. There was Salted Caramel Soft-Serve, Apple Cider Soft-Serve, Shoo-fly pie, $1000 Apple Pie, and Texas Sheet Cake. 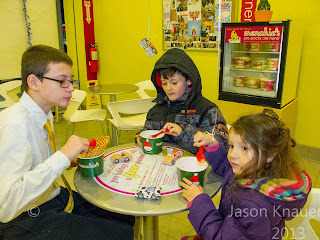 Both my brother and I had had a twist of the two Soft-Serve ice creams, my sister had a Chocolate Chip Cookie, and mom and dad split a Paw Paw Bunt Cake a la mode with Brown Sugar Peach Sorbet. My soft-serve was brilliant! It was cold, smooth, creamy, and the caramel and the apple complemented each other perfectly! I also tried some of Olivia's cookie. It was fantastic! It was warm, crunchy, and the chocolate flavor was very strong. And I tried some of the Brown Sugar Peach Sorbet. You could really taste the brown sugar but the peach flavor was a little dim. I give ***** stars for kid friendliness because they had a kids menu, kids room and activities like a crossword puzzle on the menu. I also give ***** stars for food. I would've given 6 stars for food if I could, but that would be unfair to other restaurants. I would love to come back again, but I think that they're going to busy for a while since it just opened. Well, that's all. Bye! I went to a new place called the Coal Fire. It's a pizza place in Hunt Valley, and since I really like pizza, my dad drove us there. When we got there, we had to wait for a table. While I was waiting, I noticed that there was outside seating and a bar as well as a place were you can see the chefs make the pizza, which is heated up in a coal oven, like the name suggests. Though we didn't have to wait long, and soon we were at our seats. On the menu there were pizzas like Margherita, which is basically cheese pizza with basil and tomato sauce, Bianco Speciale, which is white pizza with Parmesan cheese and tomatoes, and Ring of Fire, which is a pizza with banana peppers, Italian sausage, and mozzarella cheese. There were also salads on the menu, like Greek, House, and Field Greens. There was pasta like Pesto, Coalby's , which is like a sub sandwich, like Ribeye, and Coal Fire Wings, which were just chicken wings baked in the coal oven. 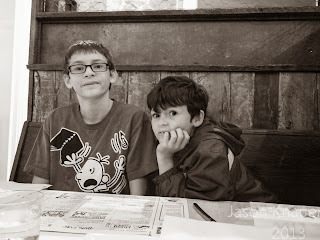 Finally, there was a kids menu, but the only item I can remember that was on it was Macaroni & Cheese. My family split a white pizza and some wings, except for my sister, who had the Macaroni & Cheese. While we waited, we did the activities on the kids menu. After that, my dad decided to get a beer called Monty Python's Holy Grail, and since my dad owns the movie, he decided to try it. Finally, our food came. The pizza was delicious! It wasn't greasy at all and the crust was thin. You could really taste the white sauce. The wings were tender and juicy, but the skin was kind of tough. Finally, I want to comment on the Macaroni & Cheese because my sister didn't like it, and the reason why I think is that the cheese taste was too rich for a kids menu food item. I give **** stars for food and ****1/2 stars for kid friendliness. The reason why I only gave 4 1/2 stars for kid friendliness was because they needed more entertainment like more activities. I would love to come here again, especially so I can try the Ribeye Coalby. Well, that's all. Bye! 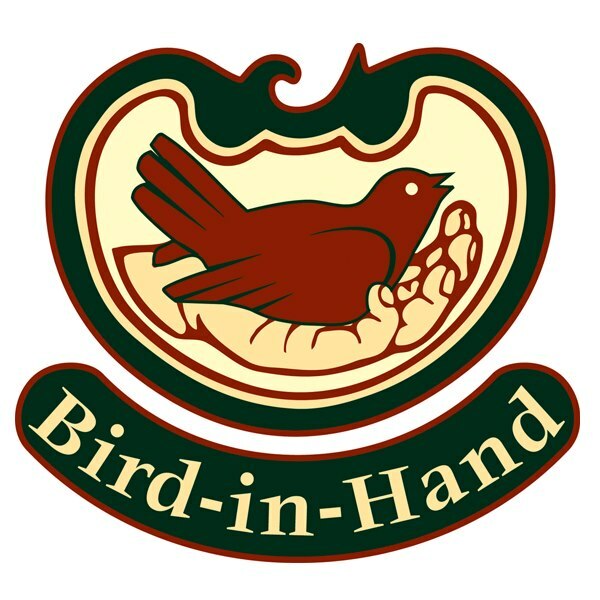 I went to another place during my vacation in Pennsylvania called Bird-in-Hand Bakery and Creamery. I went here for dessert instead of getting milkshakes at Jake's Wayback Burgers, since my mom wanted to try Shoo Fly Pie. From the road, it looked almost like one of the other houses, except for it's sign out front. The Store was closed, but it's ice cream window was open. There were only 2 places to sit outside, though there was no one eating there. On the menu, there were items like hand dipped ice cream and soft serve. They also had some items from their store, like snicker doodle cookies and slices of pie, that you could order. I had a twist soft serve sundae with marshmallow topping, while my brother had a twist soft serve sundae with caramel topping. My mom had Shoo Fly Pie and my dad and sister shared Snicker doodle cookies to go. My ice cream was delicious! It was creamy and the marshmallow topping was a great addition to it. I also tried some of my mom's Shoo Fly Pie. It was delicious! It was moist and almost tasted like there was apple in it. And the best part was it was homemade from scratch! I give ***** stars for food. The reason why I didn't give a rating for kid friendliness was because it only sold dessert there, and anyplace that sells dessert is a 5 star rating for kid friendliness to me! I would like to come back here for some more ice cream and baked goods. Well, that's all. Bye! 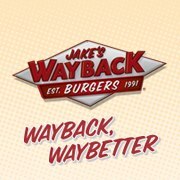 I went to a place called Jake's Wayback Burgers during my vacation in Pennsylvania. My dad said that it was a great place to get burgers, and he suggested we go there. I said yes, since I love burgers(especially if they have bacon and BBQ sauce on them). 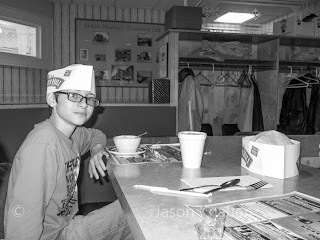 The restaurant was a fast food chain in a diner theme. I saw lots of old photographs on the walls and a television. On the menu, there were items like the the Cheesy Burger, a Turkey Burger Club, Chicken Caesar Salad, a Chili Cheese Dog, and their special Triple Triple Burger. There was also a kids menu, which had items like Chicken Tenders, Grilled Cheese, and a Junior Cheeseburger. Finally, they had milkshakes like Black and White, Orange Cream, and Chocolate Banana. I had a Junior Cheeseburger with BBQ Sauce, but without bacon, since my dad said no when I asked him, while my brother got a Cheeseburger with Ketchup and Mustard, and my dad had a Jake's Cheesy Burger. I also wanted a milkshake, but we decided to go somewhere else for dessert (you will have to read my next review). It didn't take long for the food to come out and my burger was delicious! The patty was moist, tender, and juicy, and the BBQ sauce tasted great with the beef burger. I give ***** stars for food and **** stars for kid friendliness. The reason why I only gave **** stars for kid friendliness is because even though there was a kids menu, a television, and fast service, there really wasn't anything else there. I would recommend adding something else for kids to do, like a coloring page or a type of toy with the kids menu. I would really like to go back there, especially to try their milkshakes. Well, that's all. Bye! I went to a place called Bogey Macaws with my family. The reason why we came here was because my Aunt Lisa thought this would be a good place for me to review. The restaurant is located on a golf course. We went on a Sunday night and there was almost no one there. It was separated into different sections and you could even sit outside on the deck. We were seated in room that looked like it was reserved for parties. 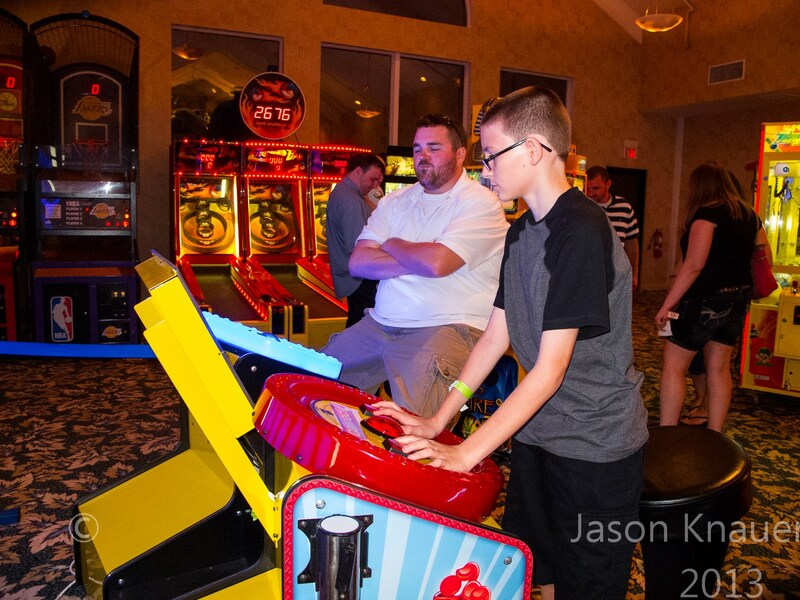 The restaurant also had TVs and a game room with an arcade and Ballocity play area. The menu had lots of items like Hand Tossed Pizzas, lots of different kinds of fries and Hot Dogs like Cheese Steak Fries and Bogey dog, a Waffle Club Sandwich, Burgers, Chicken Wings, a Broiled Crab Cake, and Buffalo Chicken Salad. 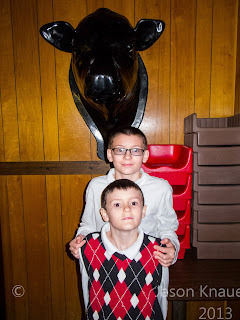 There was also an all-new kids menu, which had Grilled Cheese, Chicken Tenders, Macaroni and Cheese Spaghetti & Meatballs, Grilled Chicken, Grilled Hot Dog and French Bread Pizza. With any kids meal, you could get the Super Kids Menu for an additional price including 20 tokens and Ballocity play. My brother, sister, and me all got the Super Kids Menu. Owen and Olivia got French Bread Pizzas, while I got Spaghetti & Meatballs. While we waited for our food, we played in the arcade and Ballocity. 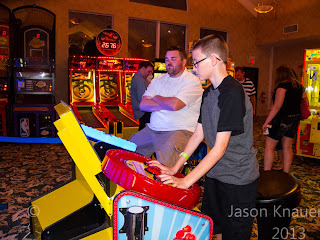 The arcade had games like Big Bass, Connect Four, Skeeball, and Toy Soldier. Ballocity wasn't a ball pit, like my dad suspected, but a challenging game where you use balls to shoot targets and each other. There's also a slide, punching bags, a zip line, and a maze of fun obstacles. Our food took awhile to come but we didn't mind because we were having so much fun! Finally, it came, and I thought my Spaghetti & Meatballs were delicious! The meatballs were juicy and tender, and the sauce tasted like it was homemade! I give ***** stars for food and ***** stars for kid friendliness. I would really like to come back here, whether it is when I'm still a kid, or with my kids when I grow up(if I have kids, that is). Well, that's all. Bye! I was asked to come to Spoutwood Farm's Teen Battle CHEFS, which is an eight session program that teaches teens and "tweens" how to cook, on the last day for the final "battle." When I got there, the teams had already figured out what they were making. Blue team was making bruschetta, red team was making spinach quesadillas, and the brother and sister team was making cucumber and peach salad. While I was waiting for the teams to finish their dishes, I helped get mint from the garden. The mint was for an experimental drink the leaders of the teams and Mrs. Liz, the sponsor, were making. I got to see that the farm had a lot of vegetation and wildlife, like sugar snap peas, tomatoes, butterflies, and wood wasps. And I also learned that all of the veggies and fruit that were in the farm's garden were used in the chef's meals. Finally, the food was ready! The Cucumber and Peach Salad was sweet, but it was missing some pepper. The bruschetta was crunchy and tasted like pizza, but was a little bland. The spinach quesadillas were my favorite. They were served warm, and the goat cheese and spinach complemented each other greatly. The drink was supposed to be like a lemon-lime soda with mint. It was refreshing but I think they needed more fizz and less lemon-lime. I didn't think it was a good combination with the mint. Overall, I give ***** stars for the food since the meals were made by teens and I think they did a good job. I didn't rate kid friendliness since it was made by teens. I might actually try to attend the camp next year to make my own culinary creation! Well, that's all. Bye! Last but not least, I went to a place called the Fudgery in North Carolina. When I came in, I saw they had posters of old advertisements, and each one had the owner of the Fudgery on it. They also had ice cream and caramel apples. The staff was really friendly. There were different types of fudge like Cookies n' Cream, Rocky Road, Dark Chocolate Nut and Maple Fudge. There were also caramel apple flavors like Pecan, Oreo, and Chocolate chip. I tried a sample of a fudge called Extraordinary Chocolate. I thought it was amazing! It was creamy, smooth, and had a large chocolate and sugar flavor. It tasted like it was from heaven! I also watched them make the fudge, which was really cool. I give ***** stars for food. I'm not judging kid friendliness because I think fudge is kid friendly enough. I would really want to come here when I don't have braces so I can have a caramel apple. Well, on to my ending! 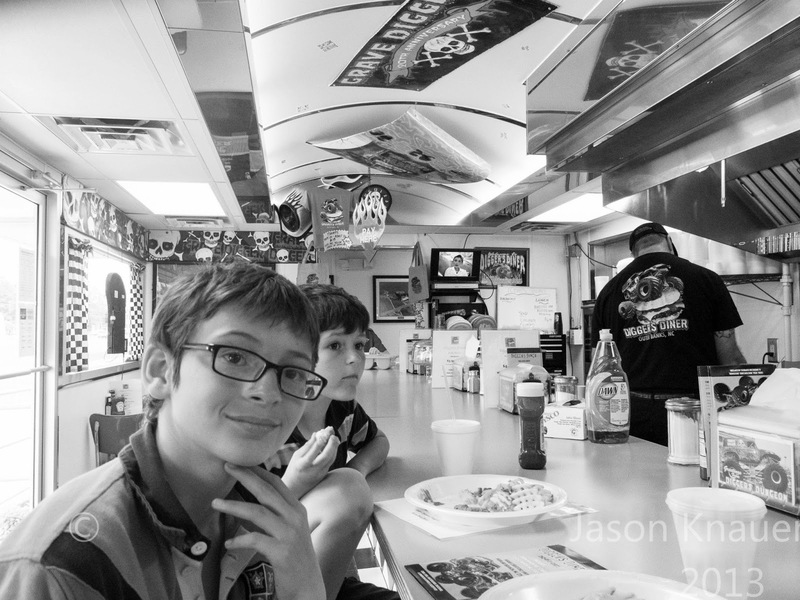 On our way home from North Carolina, we stopped at a place called Digger's Diner. This was on our list of places to go. When we first drove in, I saw it wasn't just a diner. It had a farm, a gift shop, a monster truck tune-up shop, life size statues of Grave Digger, and even a part were you can ride on a monster truck! We first went to the attractions, which were awesome, before dining at the diner. When I walked in to the diner, I saw that there were parts of Grave Digger on the ceiling (which scared my sister, Olivia), TVs, and even coloring books! On the menu, there were items like Slap Wheelies for breakfast, which is basically 3 Pancakes with ham, bacon, or sausage. For lunch or dinner, they had Digger Dogs, which is 2 hot dogs with a choice of mustard, ketchup, onion, and relish, Legend, which is 2 stories of turkey, ham, bacon, with American Cheese served on toasted bread with lettuce, tomato, and mayo, Winner's circle cold plate, which are 3 salads of your choice, and a Cyclone, which is another name for a shake. There was also a kids menu, which had chicken fingers, grilled cheese, and macaroni and cheese. I had a kids grilled cheese since I wanted to try something from the kids menu. While we waited, I watched Television while my sister drew in the coloring books and my dad chatted with the workers. I also observed the Grave Digger parts on the ceiling, since it took a while before our food came. Finally, our food came! The grilled cheese was okay. It was warm and cheesy, but didn't have much flavor besides that. I give *** stars for food and ***** stars for kid friendliness. The reason why I gave 3 stars for food was because that even though the grilled cheese wasn't as good as I hoped for, I think that the other items would've tasted better. I would recommend toasting the bread on the grilled cheese. I would also recommend adding more space in the diner. I loved being able to ride on a monster truck and would love to come back here again. Well, on to our final post! Next on my North Carolina adventure, I went to a place called Pigman's BBQ. We went there for lunch on our way to the Cape Hatteras, one of the most famous lighthouses in America. When I came in, I saw they had a lot of merchandise, such as BBQ Sauce, T-shirts, and coffee mugs. They also had lots of pictures and other decorations. On the menu, there were items like the Half Rack Rib Plate, Beef BBQ Boat, and a Tuna-Que. 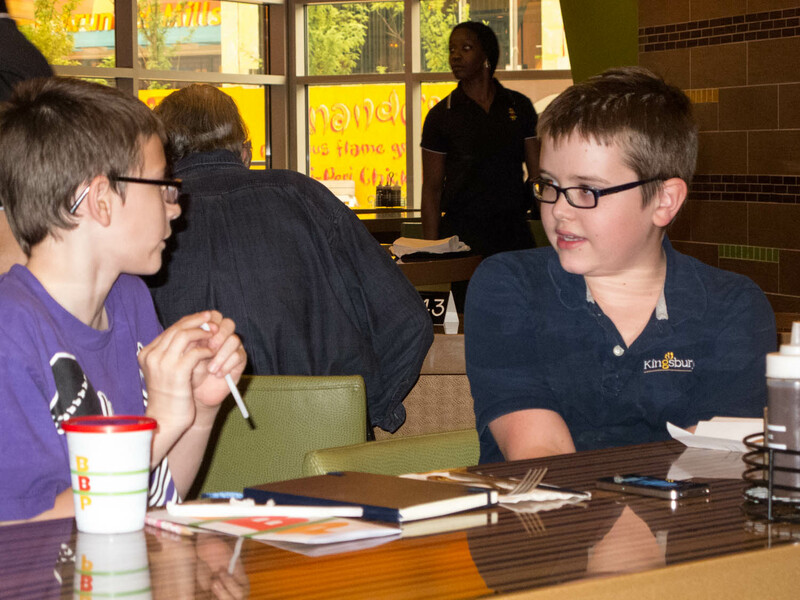 They also had a kids menu, which consisted of a Kiddie-Que meal, a Kid Dog meal, and a Kid Tender meal. But, they did sell large portions of food. I got a Beef BBQ sandwich since they didn't have Beef BBQ as a Kiddie-Que meal option. While we were waiting for our food, I noticed that there were some flies and even a bee on the window next to us, which bugged me. Finally, our food came. I thought the hush puppies were the best part. They were sweet and warm. I give **** stars for food, but only **1/2 stars for kid friendliness. The reason why I only gave **1/2 stars was because even though they had a kids menu, there were bugs in the restaurant and there was no entertainment. I would recommend taking out the bugs and add some entertainment. I would also recommend that they add more items on the kids menu like Macaroni & Cheese. How about we go on to the next restaurant review! I went to North Carolina with my family so I could hang out at the beach with my grandpa and his wife, Marie. While I was there, I went to 4 restaurants. 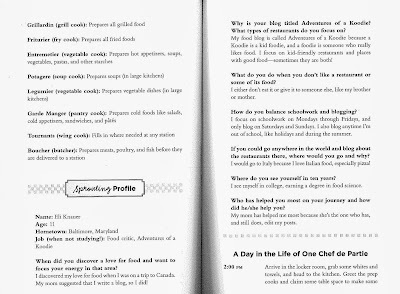 I'm ordering the reviews in the order of a 4 course meal (including dessert), so it's easier to read and understand. Well, here's my North Carolina food adventure! I went to a place called Duck Donuts in Duck, North Carolina. I went there because I heard that they had really good donuts. Also, they have only 4 locations, and all of them were on the island. When I came there, I realized 2 things. One was that it was separated into 2 parts, order and pickup, in different buildings. The second thing was that it was hidden among other restaurants. 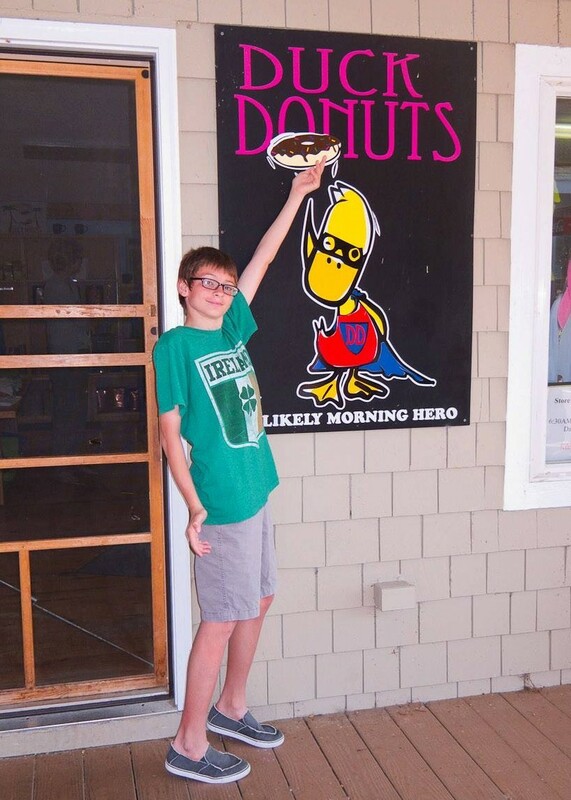 When I came in, there was lots and lots of Duck Donuts and Outer Banks merchandise, like toys, shirts, and coffee mugs. I also noticed that they served their donuts hot and you could create your own donut. I got three donuts: a donut with chocolate icing and chocolate sprinkles, one with peanut butter icing, and one with cinnamon sugar. They tasted delicious! The chocolate icing with chocolate sprinkles was chocolaty, the peanut butter icing one had a great peanut butter taste, cinnamon sugar one had lots of cinnamon taste, and they all were warm. I give ***** stars for food. The reason why I didn't give a rating for kid friendliness was because that any place with only donuts, is really kid friendly! I would really want to come back so I could get donuts! It's too bad that they don't have any in Maryland! But, oh well! I guess I'll have to wait till next summer! Now, on to the next restaurant! I went to a place called Yasou Greek Bistro in Cockeysville. When I came in, I realized that the 2 rooms that were in the restaurant were separated by the kitchen. It was also small, and not many seats. On the menu, there were items like Spanakopita spinach pie, Taramosalata, which is a dip with fish and olive oil, lemon, and potatoes, Greek Salad, Gyro, and various Fresh Subs. There were not kids meals, but there were some kid friendly food items like a Hamburger, Chicken Tenders, Pizza, and Greek Fries. We got a pizza(yum! ), with Greek meatballs, even though they weren't on the menu as a topping. We also got a Melitzanosalata, an eggplant dip, as an appetizer, and Baklava, which has honey, nuts, and filo, for dessert. While we waited, we talked about our day since there was no entertainment there. Finally, our food came. The Melitzanosalata was delicious! It was really creamy, and had a garlic and lemon punch. The pizza was amazing! The meatballs were tender, juicy, and had a pinch of cinnamon, the pizza was cheesy, and the crust was very thin. The Baklava was fantastic! It was sweet, light, and crunchy. I give **1/2 stars for kid friendliness and *****stars for food. The reason I gave only 2 1/2 stars for kid friendliness was because it really was more of an adult place. There was no entertainment, and most of the foods are complex, not to mention there were no kids meals. I would really like to come here again, though, for the desserts and pizza. I do recommend adding a kids meal and entertainment like a TV. I also recommend putting Greek meatballs on the toppings menu. Well, that's all. Bye! 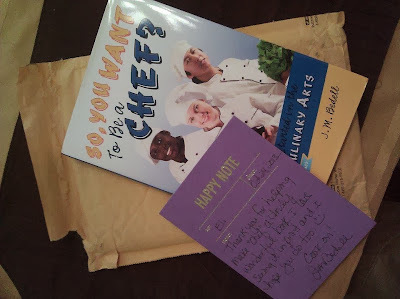 One day, a kid food blogger named Henry e-mailed me and asked if he could interview me for a school project. I, of course, said yes. So we agreed to meet at the Bobby's Burger Palace at the Maryland Live Casino. Although I had been to a Bobby's Burger Palace before, this one was different since you had to enter by the Casino. It was also very loud, which is good and bad. Finally, there was a lot of TVs. The menu was like the other Bobby's Burger Palace with the Napa Valley Burger, the Crunchified Burger, and Grilled Cheese. They also had a kids menu, but the only thing on it was a Kid's Burger. You could get a Kid's Grilled Cheese if you asked. This time, I got a Kid's Burger Crunchified, which means that there's potato chips on it. I got it medium-rare. While we waited for our food, Henry interviewed me. To read it, go to Talk About The Food, Henry's blog. Our food came pretty quick. It was delicious! The meat was tender and juicy, and the burger was crunchy. I give ***** stars for food and *** stars for kid friendliness. I really want to come here again for milkshakes, which I bet are really good. Don't forget to read Henry's interview! Well, that's all. Bye! 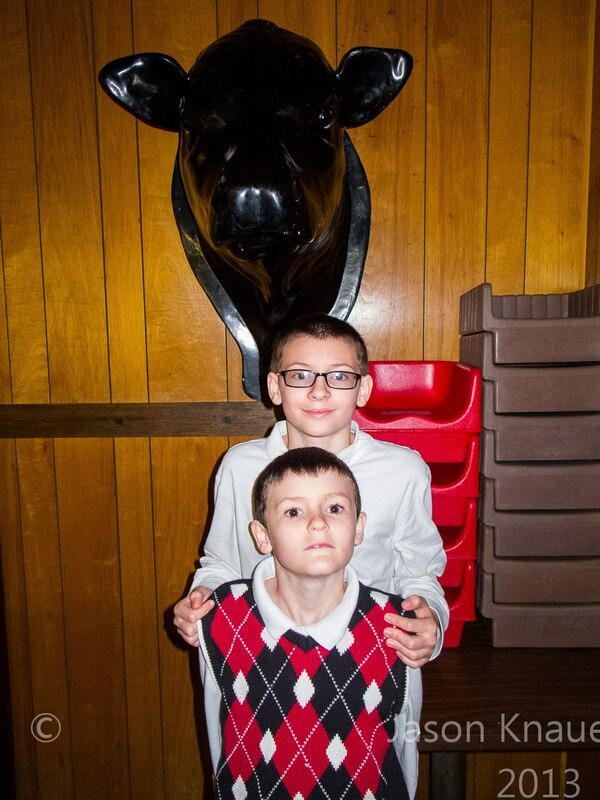 I went to a place called Bullock's Country Family Restaurant in Westminster, near where my mom works. It's not only a restaurant, it sells meat and other farm products. And, on top of all that, it's kid friendly! When I came in, I saw that there were 2 rooms, each where you could dine. Also, there was a salad bar which was shaped like a country wagon, and a model train system on the ceiling. There were many things on the menu, such as Salad, Roast Beef, Chicken, Bacon Cheeseburgers, Cole Slaw, and Ice Cream. There wasn't a kids menu, though, but there were a lot of kid friendly items, like Hot Dogs, Macaroni and Cheese, and Grilled Cheese. I had a B.B.Q Sandwich, since my mom and dad disagreed on getting a Bacon Double Cheeseburger. I also had Mint Chocolate Chip ice cream after I was done. While we waited, we talked with each other about our day, since the train wasn't on, the Television was off, and there wasn't anything else to do. It took a normal amount of time for our food to come, considering how big our order was and the amount of people there. My sandwich was delicious! The beef was juicy, and there was a strong taste of B.B.Q in there, too. There was also fries. Also, my ice cream was cold and creamy! I give **** food and **** for kid friendliness. The reason why I gave 4 stars for kid friendliness is because even though they didn't have much entertainment, they did have kid friendly items, including ice cream! What they could do better is to maybe add a kids menu and some more entertainment. Well, that's all. Bye! I went to a new place in New Freedom, PA, called the Rail Trail Cafe. I went there with my grandma, since it was new. It was also walking distance from her bike shop, so we decided to check it out. The cafe is right next to the train museum, so after your visit, you could eat at the restaurant next door! 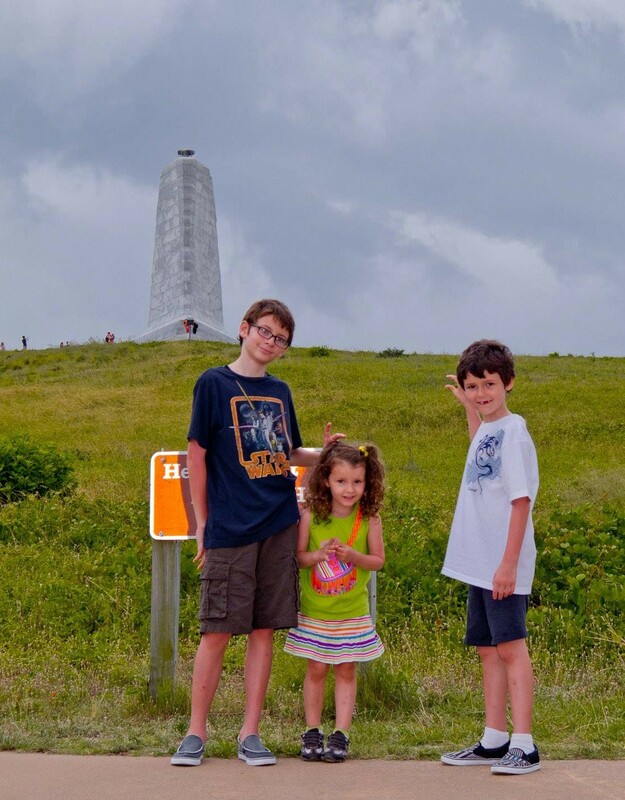 Also, it's located near a bike trail, so you could ride up there instead of driving! When I got in, there were two small rooms which you could eat in. There was also a cooler containing soda and other drinks. On the menu, there were items like the Bay Gull, which is a everything bagel with cream cheese and sliced tomatoes, the Soupa, which is a bowl of homemade soup that is served with crackers, the Phatty Dank, which is a wrap with black bean hummus, lettuce, tomato, onion, cucumber, and cheese, and the Mule Skinner, which is a wrap with eggs, bacon, turkey sausage, ham or veggies, potatoes, and cheese. There were no kids meals, though. My grandma, brother, sister and me split a Air Monkey, which is wheat wrap with peanut butter, preserves, apple slices, banana slices, and granola to split. My brother, Owen, also got oatmeal. While we waited, I read the comics part of a newspaper. Our food, after a while, came. The Air Monkey was fantastic! The peanut butter was creamy, the apple slices were juicy, the preservatives stood out because of the grape flavor, and the bananas added a tropical flavor. I give ***** stars for food and *** 1/2 stars for kid friendliness. The reason why I gave 3 1/2 stars for kid friendliness is because that even though that they didn't have much entertainment or a kids menu, they had some kid friendly choices. What they can do is put on a kids menu and put out a little more entertainment, but they shouldn't take out any previous food items. I would love to come back again for another Air Monkey. Well, that's all. Bye! I went to a placed called Pita Pan. It was a pizza place near my house that my dad had been wanting to take my family to. I had also seen their delivery cars in my neighborhood, and I was curious about what it was. Just a little history before I commence: the pita bread was originally from Greece. It is a very thin bread, so the crust on the pizza would be thin. The restaurant wasn't a very big restaurant, but large enough for some families. It had a television and some nice decorations. On the menu there were items like a Garden Wrap, a Chicken Pesto Panini, Crab Cakes, a Steak Sub, Spaghetti, and, of course, Pizza! They had Veggie Pizza, Hawaiian Pizza, and Greek Pizza. They also had a kids menu, which consisted of Chicken Nuggets, Chicken Tenders, Grilled Cheese, and Hamburgers. We got a Large Pizza with Meatballs, while my mom got a salad and a wrap. While we waited, we talked about our day at school and work. It took a while, but finally, our food came! My pizza was delicious! The crust was thin, the cheese was cheesy, and the meatballs were moist and juicy. I really liked how there were meatballs on the pizza, since I had never had them before. I give Pita Pan **** stars for kid friendly and ***** stars for food. I would love to go to this place again! Next time I'll try their Spaghetti from their kid's menu. Well, that's all. Bye! I went to a place called Hinkle's Pharmacy, which isn't only a pharmacy, it's also a restaurant. We went there because after visiting The Turkey Hill Experience because it was close by. When I came in, I saw a old fashioned diner and a pharmacy mixed together. It had old fashioned stools, and booths! The pharmacy looked like a regular pharmacy, except it had a restaurant connected to it. On the menu, there was a double hamburger, sirloin steak, chicken strips, and spaghetti with meatballs. 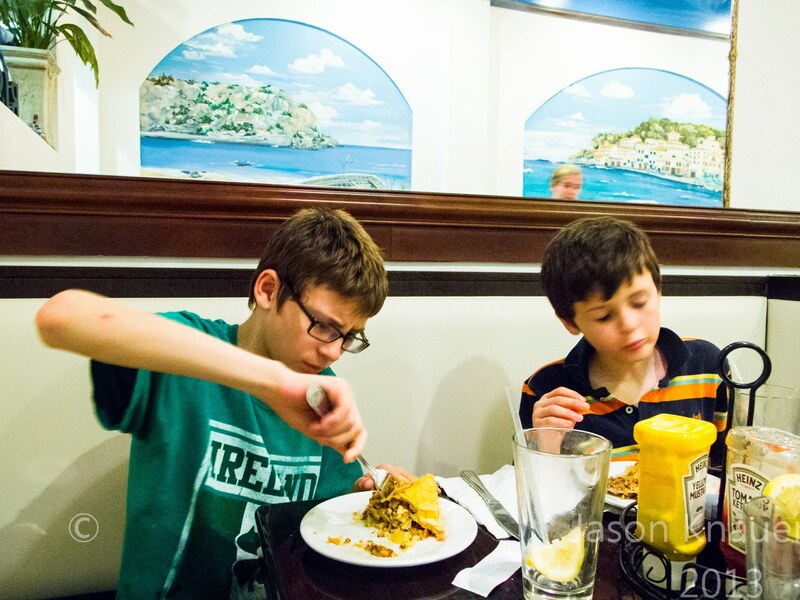 There was also a breakfast menu, which contained french toast, Belgian waffles, and pancakes. They even had a kid's menu, which contained The Little Colonel (2 Chicken Fingers, French Fries and Small Beverage), The Little Poker (Hot Dog, French Fries and Small Beverage), and The Little Mario (Pita Pizza and Small Beverage). I had a Little Indian, which was a grilled cheese sandwich, a cup of soup, and dessert. I had clam chowder for my soup, and chocolate ice cream for dessert. While we waited, I talked with my family and ate my soup, which came earlier than the rest of my meal. There wasn't much to do there, and it took a little while for our food to come. My food was delicious! The soup was good, but wasn't very salty at all. My grilled cheese was cheesy, but wasn't much of anything else. My ice cream, though, was creamy, chocolaty, and smooth. This was because it came from the Turkey Hill factory, which wasn't very far away. I give *** stars for food and *** 1/2 stars for kid friendly. The reason why I gave such a low rating for kid friendliness is because that there wasn't much stuff to do there. My advice would to add more stuff for kids to do there, like a coloring page or Television for entertainment. I would like to come back so that I could try their breakfast, though. Well, that's all. Bye! 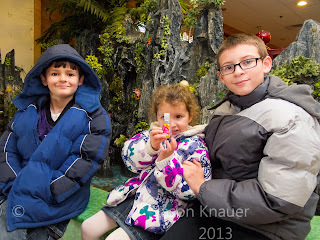 I went to a place called The Turkey Hill Experience in Columbia, Pennsylvania. 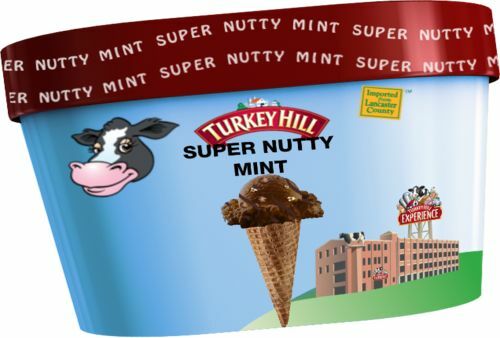 The Turkey Hill Experience isn't the factory where they make ice cream and iced tea, it's just a fun place to find out the history of Turkey Hill and how they make their products. When I came in, I realized that all of the exhibits were on the top floor, except the check in and the gift shop. While we waited for my other family members to get there, we read about Turkey Hill's history. There was a small TV where it explained how Turkey Hill came to be and the different types of dairy cows they use. They even had a cow statue with a farm painted on it! When we got in the child part of the building, I thought I was seeing things! It looked like I had gone back in time to when they still delivered milk in dairy trucks! There were cows you could "milk," a fake dairy truck that you could get into, and some history about the amount of dairy shipped during the years. 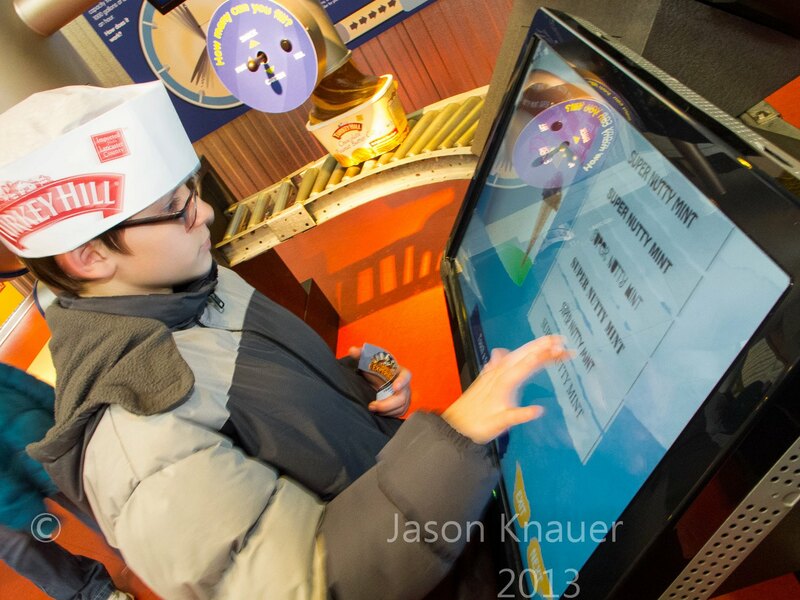 There were different sections: the beginning, the center, make your own commercial, make your own ice cream, make your own package, and how they make their tea. You could get as many free ice cream and tea samples as you wanted. Some of the ice cream flavors were mint chocolate chip, rainbow swirl, and chocolate. Some of the tea flavors were Unsweetened, Sweetened, and Raspberry. I had mint chocolate chip ice cream and peach tea, while my brother, Owen, had rainbow swirl ice cream and raspberry tea. My ice cream was awesome! It was creamy, minty, and chocolaty. The tea was fantastic! It tasted fresh, and had a great peach taste. I didn't know you could get more than one sample, so that's the reason why I only got one of each. My brother also agrees with me on the taste of the ice cream and iced tea. He quotes "The ice cream was really good! It had a lot of flavors! It had so many flavors that I didn't know what they were!" He also liked the tea. He quotes "It was really, really good! I think I tasted raspberry, and it was really refreshing." I give ***** stars for food and ***** stars for kid friendly. This place was awesome! I would definitely come back here again! Well, that's all. Bye! I went to a new all you can eat pizza salad and soup buffet in Pennsylvania called The Dutch Oven. I decided to go there, since it was built on a previous restaurant that I also reviewed, Max's Dog House. Also, it was right next door to my grandma's bike shop. When I got there, I saw a little buffet with gray paint. There were booths and a small, indoor balcony, a brick wall separating the kitchen and the bathroom, and 2 different TVs. There was not a lot of people there, but it seemed like the kitchen was busy. At The Dutch Oven, they serve three things: salad, soup, and pizza. But there were a variety of soups, pizzas, and different types of salad items. There were pizzas like meat lover, pepperoni, and cheese, soup like Chicken noodle and tomato, and lots of salad ingredients, like carrots, tomatoes, and salad dressing. I got two slices of pizza, one with bacon and one cheese pizza. They were delicious! The cheese was cheesy, the tomato sauce tasted fresh, it was cooked at the perfect temperature, and the bacon on the bacon pizza was juicy and crunchy. I give ***** stars for food and *** stars for kid friendly. The reason why I give only 3 stars for kid friendliness is because that even though the had 2 TVs, they were both on The Weather Channel, which isn't very entertaining to kids, and they didn't have any other activities for kids, but they had pizza, which almost everyone likes, and if you were allergic, you could choose from salad or soup. I really hope I go again soon! I loved their pizza, and I hope next time I come there will be Broccoli and Cheese soup. Well, that's all. Bye! 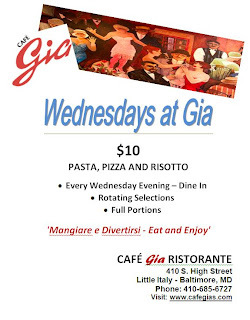 I went to Cafe Gia, in Little Italy, Baltimore. I went there because I heard that the owner's son, an almost 4 year old boy named Luca, helped cook in the kitchen. I interviewed Luca and the chef. If you want to see the interview, click on the video below. Since I was there, I also decided to review their restaurant. The decor was mostly paintings, but they looked wonderful! They were all over, too. They were on the walls and the tables, and most of them were about a story, like Romeo and Juliet or Peter Pan. It was really cool, and they even hired a professional artist to do it! On the menu, there were items like Grilled Caesar Salad, a Piazza Sandwich, Linguini, Gnocchi Gorgonzola, and the Gia, a type of pizza. I had the Mamma Mia, which is pasta with meatballs, and my dad had a Luca, another type of pizza. There was not a kid's menu, though. While I was waiting, I saw that they had a television. I also saw that they had more room upstairs, and they even had a fireplace and a balcony! I also found out that, on Wednesdays, you can now get a dinner with Pastas, Pizza, and Risotto dishes for only $10! Finally, our food came. My pasta was delicious! It had really good homemade tomato sauce on it, and the meatballs were juicy and moist. I also had some of my dad's pizza. It was awesome! The ham was juicy, the cheese was cheesy, and the arugula gave it a crunchy taste. 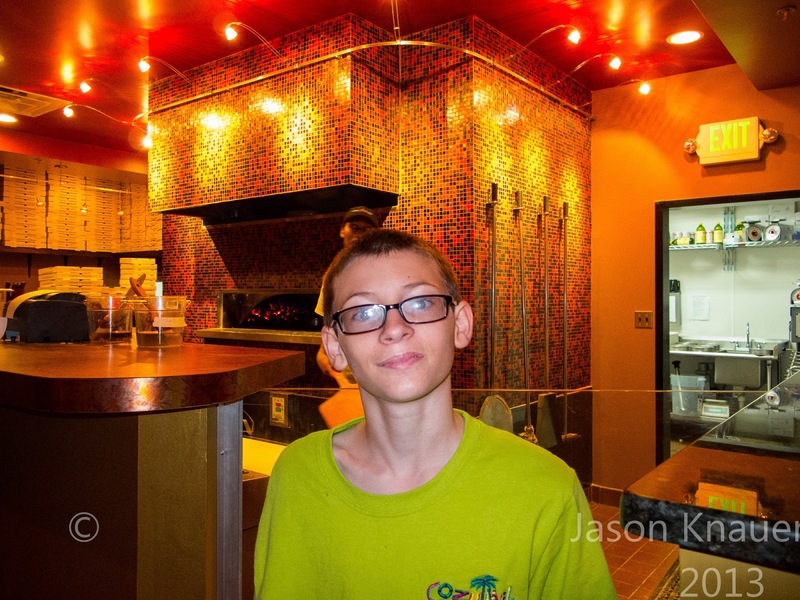 I would give this restaurant ***** stars for food and *** stars for kid friendly. 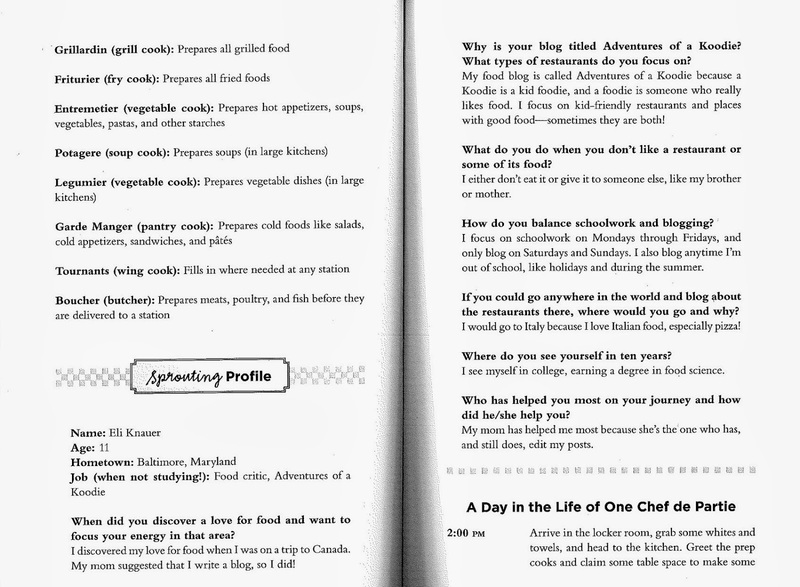 The main reason why I gave 3 stars for kid friendly is because they need a kid's menu and some activities for kids. I would love to come back, though it would be with my mom and dad, since it's really such a nice place and might not be good for small children. And I would definitely get a Luca or go on a Wednesday, where me and my parents could dine for only $10 each. Well, that's all. Bye! I went to Bahama Breeze, which is a Caribbean styled restaurant. I was supposed to go there for an event, but they didn't have enough people that would come. Fortunately, they were generous enough to give me and a guest a reserved table and give us the appetizers free from 5-7 pm. I decided to ask my Aunt Sarah to go with me, since my mom would be at work and my dad would have to look after my brother and sister. When I saw the outside of Bahama Breeze, it looked like a large building that you would find in Hawaii. This included what looked like a straw roof with a wood side with the occasional lamp. On the inside, though, it looked like a island museum! There were little wooden fish, small paintings, fire burned lamps, and a nice waiting room. There was also a open kitchen, fish lamps, and even tables connected to the walls! While we were waiting for our table to be prepared, another blogger (and his guest) came in. His blog's name was Baltimore Bistros and Beer. Though I didn't know it until later. When we were seated, the managers told us about what we were going to taste, what alcohol there was, and how thankful they were that they had some people there. They even gave us each a shirt and a hula doll! After that, we were left so that we could talk. On the menu, there were baby back ribs, grilled tenderloin salad, chicken tortilla soup, and seafood paella. There were also some special cocktails, which were the Zombie, the Dark 'n' Stormy, and the Havana Hotel Special. There was also a kids menu, which consisted of crispy chicken tenders, fresh mini hamburgers, and grilled chicken breast. Finally, there were lots of appetizers, such as Tostones with Chicken, Jamaican Wings, Roasted Cuban Bread, and Firecracker Shrimp. "I sampled 2 cocktails that will be debuting at Bahamas Breeze on February 4th. The first one was called Daisy de Santiago looked like a Mojito but surprisingly it was nothing like it. It was very herbal and spicy. It was not sweet at all. One of the ingredients is chartreuse liqueur and I think that is what made this a unique drink. The second one was called the Yaka Hula Hickey Dula. It was colorful, tropical and sweet. Dark rum, 151 and rum soaked pineapple were some of the ingredients in this drink. If you like fruity and sweet you will like this. So my favorite was the Yaka Hula Hickey Dula. I am fruity sweet drink person so this would be my pick to drink again." Then we had the food. There was a lot of stuff there! There was Coconut Shrimp, Onion Rings, Warm Goat Cheese with Flatbread crisps, Beef Empanadas, Warm Spinach dip with Island chips, Jamaican Chicken Wings, Pulled Pork Sliders, and Chicken Empanadas. Everything was fantastic! I first tried the goat cheese. It was very creamy, and it also had some tomatoes in it. Then, I had a Pulled Pork Slider. It was cheesy, juicy, and it was crunchy, since it came with pickles. Next, I had a Chicken Wing. It was juicy, and it was kind of spicy, too. Then, I had some of the Onion Rings, which is a new menu item. They were juicy as well, but in a different way. They also had some coconut on them, which made them stand out from other onion rings I've had. Finally, I tried some Coconut Shrimp. They were spicy, and also had a coconut blast, too. I would definitely get the Onion Rings again and the Warm Goat Cheese with Flatbread crisps. My Aunt Sarah said, "Of the food we were served my favorite was the Chicken Empanadas. They were served with black bean and corn salsa and an aioli. As much as liked the empanadas I loved the citrus-mustard sauce that came with coconut shrimp and crispy onion rings. It was like a Caribbean honey mustard." I give this place ***** stars for food and **** stars for kid friendliness. The reason why I gave **** stars for kid friendly is because they had a menu with some activities on it.Also, they had a open kitchen, so people could see the food being made. They also had the music turned up so one family wouldn't disturb another family if they had loud kids. I would thank my Aunt Sarah for bringing me to this really cool place. Well, that's all. Bye! I went to a restaurant called the Hibachi Grill. 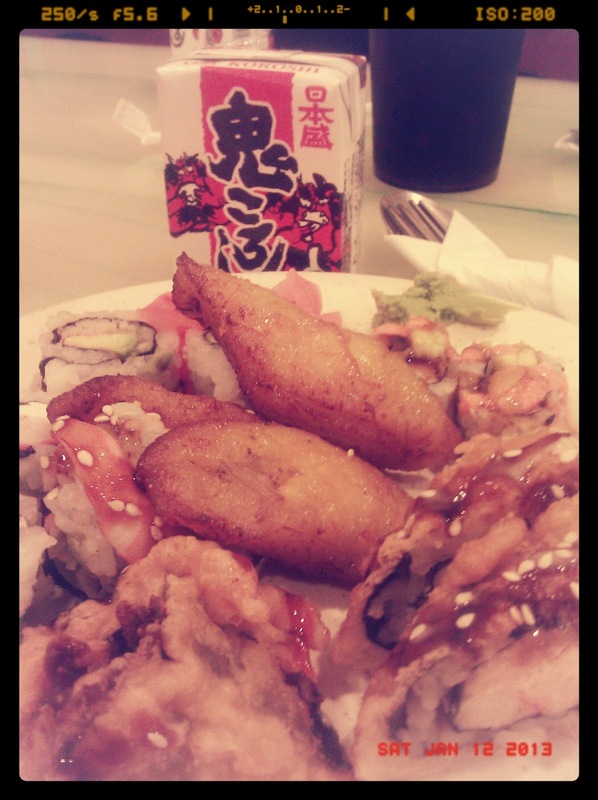 It's an Asian themed buffet. The reason why I went here is because it was my Uncle's birthday, so we decided to take him along with my Aunts and Uncles to a buffet. When I arrived, I saw 2 Chinese statues, which are really neat because they look really old and handcrafted. There are also fish swimming in an indoor fountain at the entrance. They also have glass paintings that show the beauty of Asia and a television at the entrance for those waiting to be seated! Because it was a buffet, they didn't have a menu, but you can eat whatever is on the buffet. I didn't know some of the things they had, but I had also been there before, so I had a semi-clear idea of what they had. There were sugar doughnuts and french fries, sushi and grapes, ham and pot stickers, and much more! I had 2 sugar doughnuts, corn, chicken with sweet and sour sauce, steamed broccoli, jello, white rice, grapes, and for dessert, mint chocolate chip ice cream and chocolate cake! Everything was delicious! The sugar doughnuts were sweet and soft, the corn was sweet and juicy, the chicken in sweet & sour sauce was a mixture of sweet, sour, and juiciness, the broccoli was juicy and tasted just like my dad makes it, the jello was sweet and jiggly, the rice didn't taste like anything, though, but the mint chocolate chip ice cream was chocolaty, creamy, and minty, and the cake was moist and chocolaty. I give the Hibachi Grill ***** stars for food and ***** stars for kid friendliness. The reason why I gave the Hibachi Grill 5 stars is because they have kid friendly items and the fish were entertaining. Well, that's all. Bye!